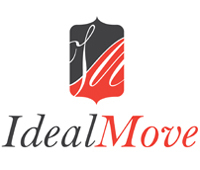 Ideal Move Letting Agency are situated in City Fringe Stoke Newington Road. We are a lettings and management agency offering property services to landlords and tenants. Very busy office and location, with a very good team of professionals working together to offer you a second to none service on your property. Ideal Move Lettings are an Independent Estate Agent specialising in Letting & Management services predominantly in North & East London. If you have a property to rent or a looking to rent, call our team now on 020 7249 9728.